Christmas is a time for giving gifts, making sure that all the special people in your life feel loved, valued and of course just a tiny bit spoiled. But why should the feel-good factor be limited to just your human friends and family? Your furry friends and family are just as important to remember during the festive season! So here at Simply Catnip we want our cat loving customers to remember their kitty this Christmas and make sure that they get spoiled just a little bit too! Cats are by nature, animals that loves to keep active whether that is mentally or physically. Unfortunately if you have a house cat who spends a minimal amount of time outside then you may find that they become bored and even overweight. Toys can be the answer; they provide your kitty with some mental stimulation as well as relieving stress and boredom by getting them thinking. 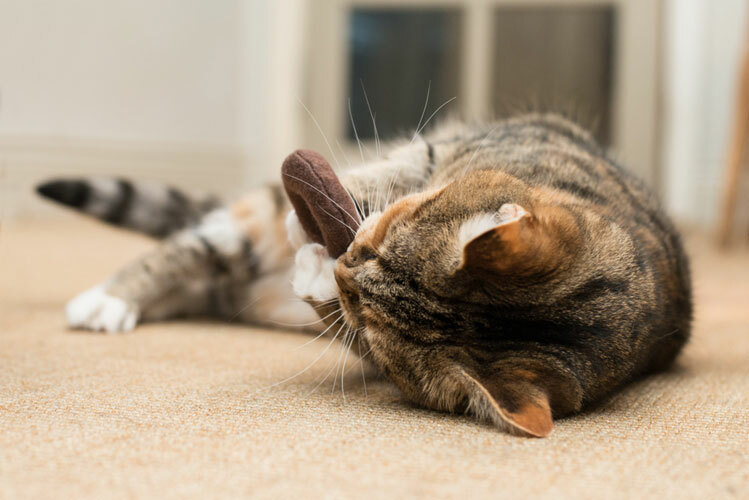 Toys are also vital in keeping your cat up and active, helping with its fitness and health. So now you want to buy kitty a present for underneath the Christmas tree you might wonder exactly what it is that you should get? Wand toys are a great idea for cats because they mimic the movement of a bird or insect which a cat will instinctively want to chase. The best thing about wand toys is that they come in a variety of styles and can be as simply as a thin piece of fabric on a stick. They also allow you to play with your cat without the risk of any scratches when they get excited. After all, who wants to bring in the New Year covered in plasters? Much like wand toys, it is the movement of the ball which appeals to cats. When it is rolled along it has the appearance of a mouse, something that any cat cannot resist chasing. Often balls for cats will have a bell inside to create a noise, catching their attention and making sure that they want to play! The only thing that is a negative about these balls is that they can get stuck under the furniture; although getting it back out is a game for both cat and human alike! Something that you will often see in a cat toy is catnip. Catnip is a herb that is extremely stimulating to cats, although it doesn’t have any effect on humans! It is found stuffed into toys such as balls or perhaps sprinkled in scratch posts so that they use them rather than digging their claws into the sofa. 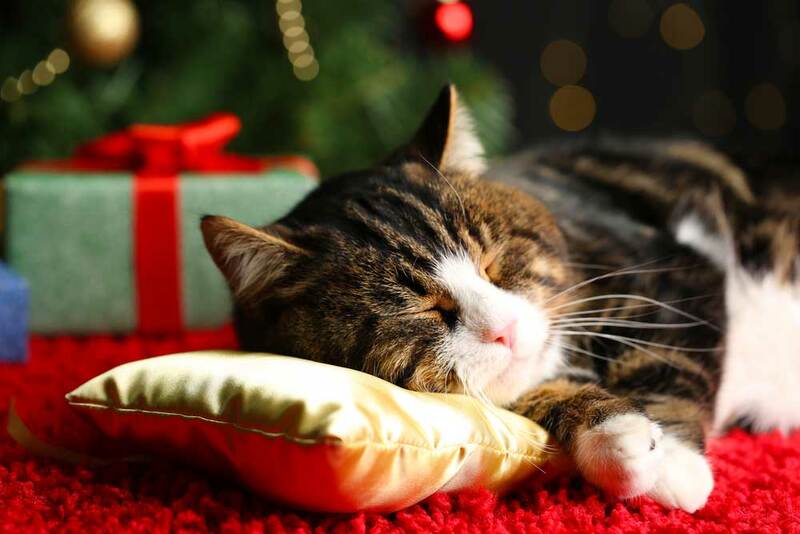 No matter what gift you pick for your precious puss you can be sure that they will be more than happy to get their very own present underneath the Christmas tree; even if they don’t have any thumbs to open it up come Christmas morning! This entry was posted in Cats and tagged cats, Christmas, Present.